Of all the drives you can take in the world, this is one of the most picturesque. Crashing surf on one side and gentle rolling hills on the other side, your drive will offer you the chance to stop here and there on whim to take in the scenery and towns you drive through. San Francisco. You will leave your heart in San Francisco, as the song goes. 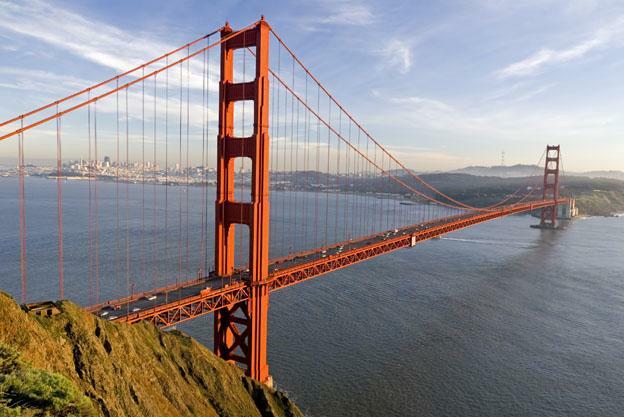 From the gently creeping fog that recedes in the morning to the soaring skyscrapers by the bay to the Golden Gate Bridge, this is a city that will fulfill your every expectation of what it should be. Make sure to find time to simply walk and bring comfortable shoes as much of that walk will be up and down hills! Sequoia National Park. Rent a car and take a ride through Sequoia National Park for an amazing visit to see what are claimed to be the tallest and widest trees in the world. You will feel like a hobbit when you stand next to their immense presence. Disneyland. 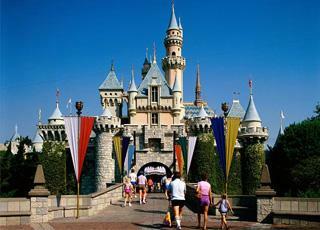 The Disneyland in Anaheim is the original one, the classic. You will definitely want to set aside a day or two to fully take in all there is to do there. Obviously, your kids will love you for it! But this is also a great day out for adults with heart stopping rides and gourmet restaurants to excite even the most jaded traveler. Los Angeles. Hollywood. Restaurants. Studio tours. Rodeo Drive shopping. In and Out Burger for some of the best burgers in the country. The beach. Chinatown. The theater where American Idol is filmed. La Brea Tar Pits. You could spend weeks enjoying all there is to see and do in LA, one of America’s favorite and most glamorous cities. San Diego. The reason so many people want to move to San Diego is due to its year round bright blue skies, sunshine, and warm weather. Add to that its location on the Pacific Ocean, its wide beaches, Mexican vibe, and fabulous cultural life and it makes a superb destination for travelers as well. Nature and the great outdoors. California is blessed with great outdoor spaces and some of the best national parks in the country. Make sure to visit Yosemite, Redwood, Sequois, and Death Valley to be able to say you have been to the best. Catalina Island. 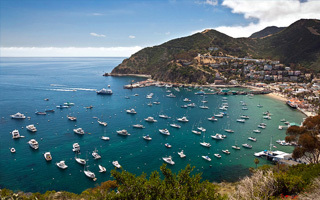 Take the hour long ride on a boat out to Catalina Island for a fun filled vacation getaway where you can find secluded beaches, resorts, casino, superb golf courses, gourmet restaurants, shopping, sailboat charters, and just about everything needed for a sunny family or romantic holiday. Hearst Castle. William Randolph Hearst was an American newspaper publisher who accumulated great wealth. He built is “castle” high above Big Sur in royal style and then invited Hollywood’s great stars of the time to come enjoy it with him. A visit to Hearst Castle brings back all the nostalgia of that period of time and offers the opportunity to take a peak into one of America’s great homes. Napa Valley. This is America’s most prestigious wine growing region. Besides taking tours of the wineries you can sample cutting edge cuisine, take a bike ride amongst the vineyards, stay in a quaint B&B, and unwind in peace and serenity at one of Napa’s many spas and wellness centers. Andrew loves writing about traveling the world and exploring exciting destinations. He also maintains a travel writing blog on how to find the cheapest ways to get around, from cheap coach and train tours to the best prices on flights.